563BC Birth: Gautama Buddha, philosopher and religious guru, the founder of Buddhism, thought to have lived in India from 563BC to 483BC. "Siddhartha Gautama, known as the Buddha, was born in the sixth century B.C. in what is now modern Nepal. His father, Suddhodana, was the ruler of the Sakya people and Siddhartha grew up living the extravagant life of a young prince. According to custom, he married at the young age of sixteen to a girl named Yasodhara. His father had ordered that he live a life of total seclusion, but one day Siddhartha ventured out into the world and was confronted with the reality of the inevitable suffering of life. The next day, at the age of twenty-nine, he left his kingdom and newborn son to lead an ascetic life and determine a way to relieve universal suffering. For six years, Siddhartha submitted himself to rigorous ascetic practices, studying and following different methods of meditation with various religious teachers. But he was never fully satisfied. One day, however, he was offered a bowl of rice from a young girl and he accepted it. In that moment, he realised that physical austerities were not the means to achieve liberation. From then on, he encouraged people to follow a path of balance rather than extremism. He called this The Middle Way. That night Siddhartha sat under the Bodhi tree, and meditated until dawn. He purified his mind of all defilements and attained enlightenment at the age of thirty-five, thus earning the title Buddha, or &quot;Enlightened For the remainder of his eighty years, the Buddha preached the Dharma in an effort to help other sentient beings reach enlightenment." 0217 Death: Caracalla (Marcus Aureiius Antoniius), Roman emperor noted for his brutality; assassinated as he launches a second campaign against the Parthians. 1460 Birth: Juan Ponce de Leon, explorer, navigator; will search for the fountain of youth and found Florida. 1726 Birth: Lewis Morris, a signer of the Declaration of Independence. "He served in the Continental Congress from 1775 to 1777, where he worked on committees supervising supplies of ammunition and military stores. Morris served in the New York state legislature from 1777 to 1790. He was a brigadier general of the New York militia during the Revolutionary War in America (1775-1783). Morris was born in Morrisania (now part of New York City) and was a half brother of Gouverneur Morris." 1731 Birth: William Williams, a signer of the Declaration of Independence. "His biography notes that William Williams was a successful merchant, but it is difficult to imagine when he found the time. Born in 1731, he attained a common school education. He attended Harvard and graduated in 1751. He then studied theology with his father, Pastor of the First Congregational Church in Lebanon. Four years later, he joined his father's cousin in the French and Indian War at Lake George. When he returned, he established himself in Lebanon as a merchant, and also took a job as town clerk. He held that position for forty-four years. 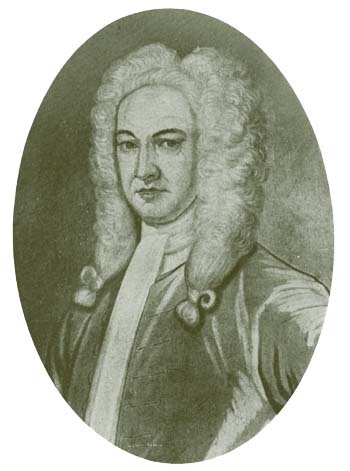 He was a Selectman for twenty-five years, served the provincial and later state Legislature for nearly forty years-during which time he was councilor, member, and Speaker of the House.He was elected to the Continental Congress in 1776. He voted for Independence, signed the Declaration, and was then appointed a member of the committee to frame the Articles of Confederation. In 1777 he was appointed to the Board of War. After the war, he attended the Hartford convention, where Connecticut ratified the Federal Constitution. Williams spent his remaining years as a County Court judge. He died in 1811 at the age of eighty." 1766 The first British patent is granted for a fire escape, a wicker basket on a pulley and a chain, designed by a London watchmaker. 1783 Birth: John Claudius, in London, England, horticulturist. 1789 The US House of Representatives holds its first meeting. 1816 Birth: Frederick William Burton, painter. 1832 Black Hawk War: Some 300 American troops of the 6th Infantry leave Jefferson Barracks, St. Louis, to confront the Sauk Indians. 1838 Isambard Kingdom Brunel's 236-foot steamship Great Western sails from Bristol, England, on her maiden voyage. 1847 Birth: Emil Kirdorf, industrialist tycoon from the Ruhr region of Germany who will be one of the first prominent German entrepreneurs to join the Nazis; will obtain financial support for Hitler. Cofounder of the Rhenish-Westphalian Coal Syndicate and other large concerns, Kirdof will be considered a ruthless exploiter and foe of the labor unions. 1859 Birth: Edmund Husserl, in Germany, philosopher; will found Phenomenology. 1861 US Civil War: The US mint at Dahlonega, Georgia is seized by confederate troops. 1864 US Civil War: In the Battle of Mansfield, Louisiana, Federals are routed by Confederate General Richard Taylor. 1865 US Civil War: General Robert E. Lee's retreat is cut off near Appomattox Court House. 1869 Birth: Harvey Cushing, pioneering neurosurgeon. 1873 Alfred Paraf of New York City patents the first successful oleomargarine. 1893 It is solemnly announced that the ice cream soda is America's national drink. 1898 Battle of Atbara: Anglo-Egyptian forces under British General Horatio Kitchner defeat the Khalifa, leader of the dervishes in Sudan and captures The Mahdi, crushing 6,000 Sudanese troops. 1904 A historic treaty is signed between Britain and France to end all conflict between the two countries. The Entente Cordiale settles long-standing disputes and confirms the status of both nation's colonies. France has first call on Morocco, in exchange for respecting British claims in Egypt; English ships' fishing rights off Newfoundland are guaranteed, while France gives up its claims there. The accord stems partly from King Edward VII's visit to Paris last year and follows months of intense diplomatic negotiations. 1908 Herbert Henry Asquith becomes British Liberal prime minister following the resignation of Henry Campbell-Bannerman due to ill-health. 1913 The 17th Amendment to the US Constitution is ratified, requiring direct election of senators. 1913 The opening of China's first parliament takes place in Peking. 1917 WW1: Austria-Hungary, an ally of Germany, severs diplomatic relations with the United States. 1919 Birth: Ian Smith, former prime minister of Rhodesia. 1921 Birth: Betty Ford, wife of former US President Gerald R. Ford, namesake of the Betty Ford Clinic. 1922 Death: General Georg A.S. von Falkenhayn, former chief of the German general staff. 1925 Half a million Britons will leave the country to make new homes in Australia in the next decade; the Australian government promises on this day Â£34m to buy land, much of it for the settlers, and the money will be available for Britons to buy stock, equipment and materials to build homes. 1933 German Chancellor Adolf Hitler speaks in Berlin. "When our opponents say: 'It is easy for you: you are a dictator'- we answer them, 'No, gentlemen, you are wrong; there is no single dictator, but ten thousand, each in his own place.' And even the highest authority in the hierarchy has itself only one wish, never to transgress against the Supreme authority to which it, too, is responsible. We have in our Movement developed this loyalty in following the leader, this blind obedience of which all the others know nothing and which gave to us the power to surmount everything. For fourteen years we were assailed; the attempt was made to bend and break us by cunning, chicanery, and violence, by malice and terror, by everything imaginable. But this instrument of blind obedience remained unbroken, remained steadfast. All we endured was but tests from which we emerged stronger than ever..."
1933 Zionism: Zionist leaders, including Chaim Weizmann and Chaim Arlosoroff, meet with Arab leaders from Transjordan at the King David Hotel in Jerusalem. 1935 Death: Adolph S. Ochs, in Chattanooga, Tennessee. Ochs is soon succeeded as publisher of The New York Times by his son-in-law, Arthur Hayes Sulzberger, husband of Och's daughter, Iphigene, his only child. Note: Today, the newspaper remains largely the family business of the Sulzberger family. 1935 The US Congress approves the Works Progress Administration (WPA). Later called the Work Projects Administration, the national program will employ more than 8 million people on 1.4 million projects before it is ends in 1943. The Federal Art Project is one of WPA's projects that assists artists; a central part of FDR's 'New Deal'. 1937 Birth: Seymour Hersh, award winning investigative reporter for the New York Times. 1938 Birth: Kofi Annan, UN Secretary General. 1938 Eduard Daladier forms a new French government. 1938 Holocaust: The Rothschild Bank in Austria is "Aryanized" and taken over by the Austrian Credit Institute. 1939 WW2: One day after invading Albania, Italian troops take the capital, Tirana, and King Zog flees to Greece. 1940 WW2: The valiant Polish submarine Orzel sinks the Rio de Janeiro with German troops bound for the attack on Norway. 1942 Holocaust: The Polish underground alerts London of gassing of Jews in Chelmno by the Nazis. 1942 WW2: The Soviets open a rail link to the besieged city of Leningrad. 1943 Wendell Wilkieâ€™s One World is published for the first time. In less than two months, sales will reach a million copies. 1944 Birth: Anthony Farrar Hockley, military historian. 1945 Resistance: German theologian and martyr Dietrich Bonhoeffer, the night before he is hanged by the Nazis, declares: 'This is the end - for me the beginning' - his last recorded words. 1946 The League of Nations begins its final session in Geneva after being replaced by the UN. 1949 Death: Wilhelm Adam in Anspach, Bavaria. Served as a Bavarian officer in WW1 with a reputation for efficiency; became a Major General in 1930; in 1933 became commander of the Munich military area; in 1935 assumed command of Berlin's new Armed Forces Academy. 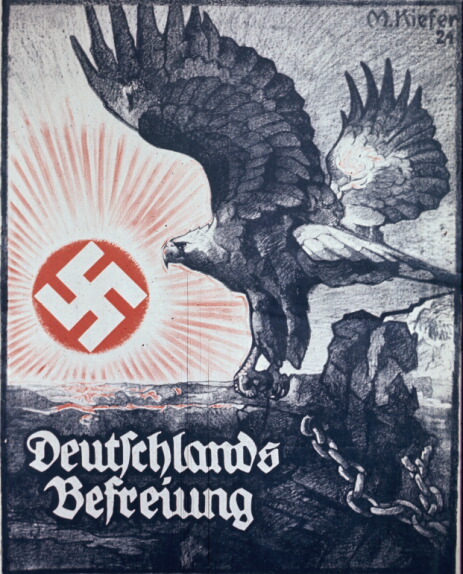 Not one of Hitler's favorites, the two clashed over West Wall fortifications and had numerous other disputes. Following a few months after the fall of Blomberg and Fritsch, Adams was relieved of command by Hitler and sat out the war with an unblemished reputation in Garmich, which is where he passed away. 1952 President Harry S. Truman orders a government seizure of the steel industry to avoid a general strike. 1953 In Kenya, Jomo Kenyatta is convicted of involvement with the Mau Mau insurrection and is sentenced with five others to seven years' hard labor. 1960 The US Senate passes a landmark Civil Rights Bill. 1961 The British liner Dara explodes in the Persian Gulf, killing 236. 1964 The unmanned Gemini 1 is launched. 1966 OAO 1, the first orbiting astronomical observatory, is launched. 1968 A new socialist constitution of East Germany goes into effect. 1970 The US Senate rejects President Nixon's nomination of G. Harold Carswell to the US Supreme Court. 1973 Death: Pablo Picasso, Spanish painter and sculptor, pioneer of Cubism, at his home near Mougins, France, at the age of 91 after suffering a heart attack. 1977 Israeli Prime Minister Yitzhak Rabin admits he had violated the country's currency laws; he will later resign. 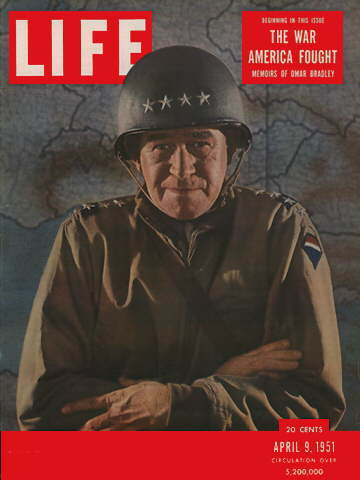 1981 Death: Omar Bradley, last 5-star US General. "....A quiet but distinguished member of a distinguished class of West Point graduates, Bradley typified a remarkable generation of Army officers. Disheartened by a perceived lack of success in 1918, he pursued his duty throughout some of the Army's most difficult years. The fact that war coincided with Bradley's own professional maturity brought him promotion as the first general officer in his class; George Marshall's confidence assured him a chance to show his mettle. There is no standard against which to compare Bradley as an army group commander. During the fighting in Europe, his calm and effective presence was important in times of crisis, as was his deft touch in handling subordinates. It is difficult, for example, to imagine Patton without Bradley, who exploited the talents of that volatile commander as well as any man could have done. Finally, it was his superb wartime record, combined with his reputation for fairness and honesty, that made him effective in what was probably his most difficult job, Chairman of the Joint Chiefs of Staff. General of the Army Omar N. Bradley died on 8 April 1981, just a few minutes after receiving an award from the National Institute of Social Sciences. 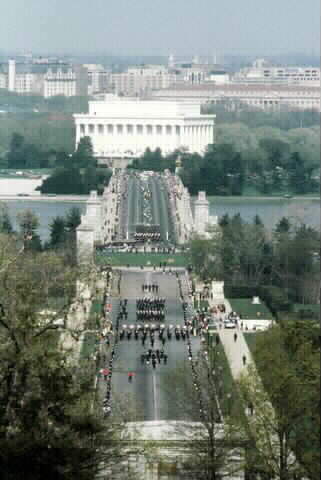 He was buried in Arlington Cemetery on 14 April 1981 with full military honors, as the nation mourned the passing of this great and noble warrior." 1985 India files suit against Union Carbide over the Bhopal disaster. 1987 Death: Francis C. Denebrink, US Naval officer (WW1, WW2, Korea), at 90. 1992 PLO leader Yasser Arafat survives a plane crash in the Sahara desert during a sand storm. The plane's three crew members are killed. 1992 After genetic fingerprinting tests, German and Israeli authorities declare that they are certain that Josef Mengele died in Brazil in 1979. 1994 Japanese Prime Minister Morihiro Hosokawa resigns over a loan scandal. 1994 South Africa's four key political leaders meet at a bush camp in lion country for a peace summit aimed at stopping violence threatening free and fair elections. 1995 Former Secretary of Defense Robert McNamara, in an interview with AP Network News and Newsweek magazine to promote his memoirs In Retrospect: The Tragedy and Lessons of Vietnam, criticizes America's Vietnam War policy. He writes that he and other American leaders had been 'wrong, terribly wrong' about the war. 1996 Yugoslavia and its former republic of Macedonia sign a treaty to normalize relations. 1999 At a White House news conference, President Clinton declares that NATO can still win in Kosovo by air power alone, and he expresses hope for an early release of three American POW's. 2002 Iraqi President Saddam Hussein temporarily halts his country's oil exports, a move, he says, that is aimed at damaging the US economy. 2003 US President George W. Bush reluctantly concedes that the UN must play a 'vital role' in reconstructing postwar Iraq. Click Here to email the History: One Day At a Time webmaster.